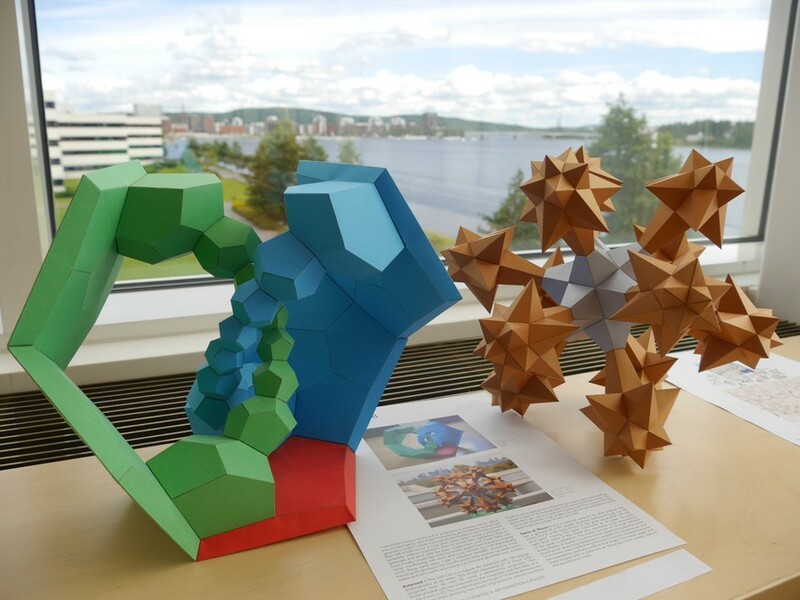 Two of my paper models were on display, and one of my short films was screened, at the Bridges 2016 conference on art and mathematics in Jyväskylä, Finland. Polyhedral calendar and greeting cards designed by Robert Webb. See the version history for a list of changes. Existing users can upgrade from within the software using "Help→Check for Software Updates Now" (or in older versions: "Help→Check for Updates Now" or "Help→Check for Updates→Check Now").